The NT-4 was originally built to exceed standards issued by USSOCOM. 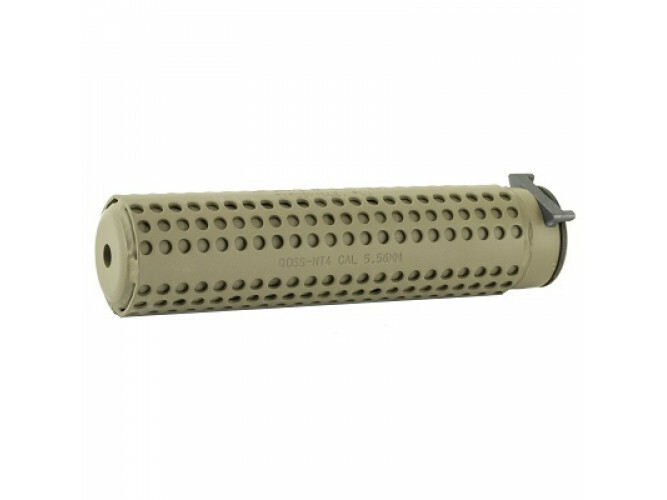 Through improved manufacturing methods and materials, Knight’s offered a more durable product that became the only suppressor to meet and exceed the government’s requirement. There have been over 100,000 NT-4 Suppressors delivered to many different US Military Units worldwide. Designed for use with 10.5” – 14.5” barrels in mind, the NT-4 delivers a 28 dB reduction and is only 6.5” in length. The quick detach gate latch is secured by a rotating locking ring to ensure the easy on / off feature still retains the suppressor securely. The NT-4 attaches securely to the included QD Flash Suppressor.